Down he fell again, this time landing on his back. I could practically feel the rock-hard ice reverberate through his little body. Pads or not, that one had to hurt. He hesitated, worrying me that he was actually injured this time. Then he rolled over, scrambled to his feet, regained his balance, and skated on — certain to crash land again in the moments ahead. It was a cool November morning during his first hockey practice when I realized my son didn’t know how to skate. We’d gone skating before as a family over the years, a few times at the outdoor rink downtown and once or twice on a pond near our house. But not often enough for my 3rd grader to feel truly comfortable on the ice. And it was showing. He fell again, likely the 50th time he’d hit the ice in the first half hour. Each time, I watched him, waiting for the tears to come, for him to skate off the ice — or crawl or crash — and announce that he was done with hockey. He’s wanted to play hockey for years, bugging me to let him each year when I get obsessed with how deep into the NHL playoffs my team will go. This past year, my team won it all, and we watched every game we could. After they hoisted the Stanley Cup, he made his mom and me promise we’d sign him up for hockey in the fall. So, we did. We just forgot to teach him to skate first. One of the things I’ve always struggled with as a parent is watching my kids fail. What parent doesn’t want to protect them from some of the pain and disappointment life has for all of us? I distinctly remember the feeling I had when I got cut from a travel soccer team in fourth grade. I was devastated. I don’t want my kids to go through that kind of rejection. As a parent, I often prepare my kids for potential setbacks, saying things before soccer tryouts like, there are so many kids that I’m sure lots of good players are going to get cut. Or telling them before play auditions that even getting a call back is something to be proud of. That’s how I prepared my high schooler for her audition for this year’s school musical. Last year, she didn’t make it – as most freshman don’t. So, this year I prepared her for any potential disappointment. I was surprised when she expressed frustration with my attitude on the matter. She liked that was hard to make the musical and just wanted me to believe in her. I've begun to realize, I’ve been so worried about preparing my kids for failure, that I’ve been undermining their confidence. It seems a strange thing to admit in an age when most parents do a disservice by filling their kids with too much confidence, convincing them they’re the best at everything, when they’re just average. And sending them out into a world that is going to level them with reality in the years ahead. That’s a mistake in itself. Parents can make that one even worse by further protecting their kids from that eventual leveling by stacking the deck in their favor. That’s become clear recently, as we’ve seen wealthy parents across the country who have been so concerned about protecting their offspring from life’s disappointment that they’ve spent thousands of dollars and resorted to cheating so they can get into the college of their choice. What those parents did was wrong. But I understand the instinct. Believe me, I do. 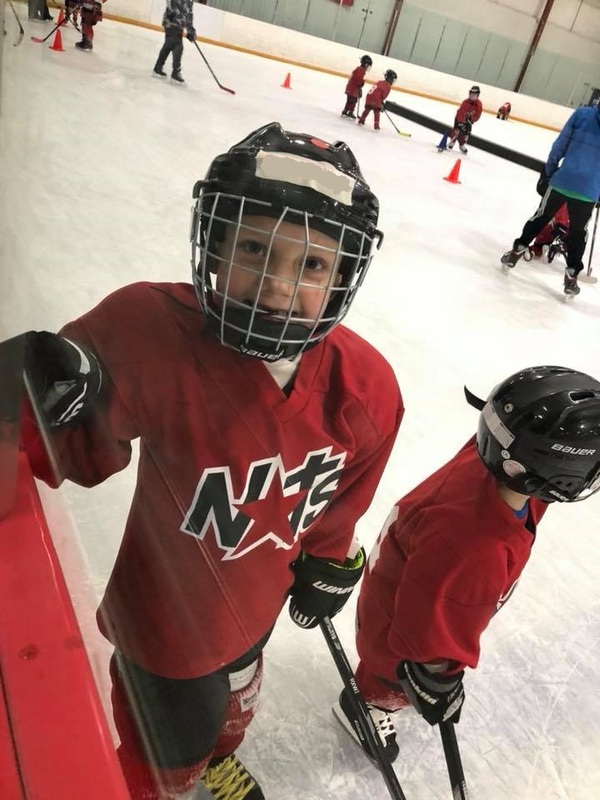 That morning in November, I wanted to run out onto the ice – or skate, or something – and pick my son up and give him the biggest hug I could. And, if I could’ve figured out a way, I probably would’ve made sure all the kids who tried out this year made the high school, just to spare them all, and most importantly my daughter, from the potential pain. But I didn’t. I suffered as they struggled, and I worried as they worried. In so doing, I’ve come to realize there is a balance to be had. Kids need confidence, for sure. But they also need to know the hard work it takes to get better at things, whether it’s hockey, or soccer, or singing, or school. And they need to know it’s going to take a lot of hard work on their part to reduce the number of disappointments in their future. If I didn't know this already, it became obvious watching my kids face their challenges. In the months before the musical auditions, my daughter put in the hard work. She worked on her singing, and she spent hours in dance classes improving her skills and even learning a whole new dance style. And, guess what. She made the musical. She even had a speaking role and was a part of a few big dance scenes, including the tap dance number. Who knew she could tap? I was so proud of her. To top it off, the show was amazing. Then he looked at me, and said, "I got better. Didn't I, dad?" Now he’s been playing a few months, and he’s improved so much. He rarely falls, and he's even been scoring goals. I’m the first one to admit I don’t have this parenting thing figured out. But, I’ve certainly arrived at the conclusion that a bit of failure and disappointment doesn’t hurt kids all that much. In the long run, it might even help. Despite my instinct to protect them from even the smallest failures, I probably knew this all along. After I got cut from that soccer team, I tried again. The next time, I made the team. Then I continued to play the sport through high school. While I never forgot the pain of being cut that year, it made any success I had later that much better. So, as hard as it is, let your kids fall down. And then watch them get back up. You'll both be better for it.